The importance of helmets for riders or cyclists can’t be stressed enough. This simple accessory helps to absorb the impacts, shocks, and vibrations, makes you more streamlined, and most importantly protects your head from injuries in case of an accident. While finding a helmet is easy, all you need to walk into a shop or buy online, the hardest task is knowing if it’s suited for your needs. You need to look at features like quality of the material, ease if adjusting the straps, safety rating, comfort, good fit, impact protection, durability and much more. 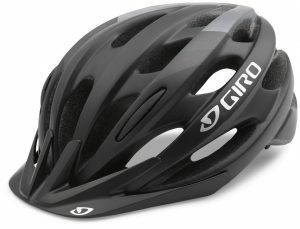 For an inexperienced person, this may look like “Rocket science.” Well, it doesn’t have to be- simply follow our top 10 best bike helmets in 2019 review and find the best product worth buying. 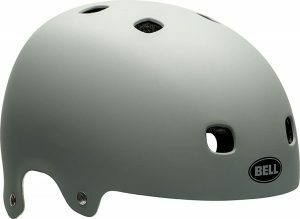 If white is your color, then this helmet by Docooler is worth looking at. It’s among the lightest units in the market, weighing 261 g / 9.2 ounces and will feel light on your head. It, however, is pretty strong and impact-resistant courtesy of the heavy-duty PC outer shell. The ultra soft high-density EPS foam on the inside absorbs shocks and impact and feels smooth on the head. For improved air circulation, the unit features 18 vent holes and breathable chin guard. It measures 29 x 21.5 x 14 cm/ 11.4 x 8.5 x 5.5 inches and will fit a head circumference of 56-60 cm (22-23 inches). The super light, cool and easy to adjust helmet, however, doesn’t fully cover the ears. Weighing about 1 pound, this is the lightest helmet on our list. But, despite its lightness, it’s very well built and strong courtesy of the tough ABS outer shell and polystyrene liner. It comes in small (18.9-21.3inches/ 48-54cm), medium (21.7-22.8in/ 55cm-58cm), and large (23.2-24in/59-61cm). The Triple Eight design improves aerodynamics and has good ergonomics. 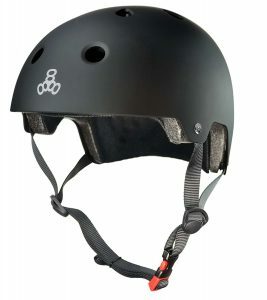 The all black rubber helmet is compliant with CE EN 1078 and in addition to cycling; it’s also suitable for roller-skating and skateboarding. People love its sturdiness, easy to wear and remove, and is very comfortable. The largest size (XL) however may be a little tight for big heads. 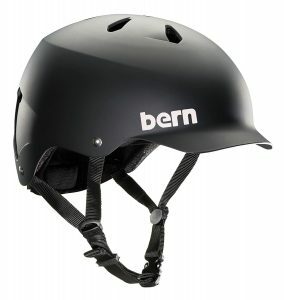 This summer helmet by Bern Unlimited is popular among-st beginners as well as experienced cyclists and riders. Some users go for its cool design and Matte Black color that make it very classy while other love the sturdy built courtesy of the premium ABS outer shell. Some buyers say it’s very comfortable due to the high-density EPS foam that snugly fits on the head and also feels light. 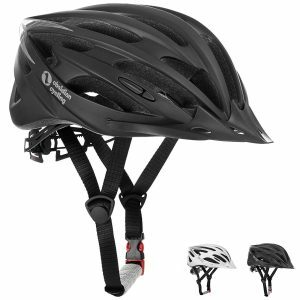 It also features a hard visor for better visibility and eye protection and easy to use Crank fit on the rear for quickly adjusting the tightness or looseness. And weighing 2 pounds, this helmet won’t bog you down because of weight. People choose this Matte Grey/Green helmet because of many reasons. Some love its decent size of 12 x 9 x 8 inches that will easily and comfortable fit on most heads, other love its light weight of 1.8 pounds that improves convenient, while some love the high-density foam that has good absorption. The item is large (58 – 63 cm / 22.75 – 24.75 inches), and features a hard ABS plastic shell and a segmented EPS liner. It has 8 vents for improving air circulation and minimizing excessive sweating. The well-built and durable helmet may, however, be a bit tight for very large heads. This Charcoal/ Matte Black cycling helmet is perfect for adults and comes in the revolutionary Acu-dial Fit Systems that makes fitting easy. It measures 7.5 x 9.7 x 14 inches and will snugly fit most adult heads. Its light weight of 1.6 pounds makes wearing and carrying simple and convenient. And if you worry about injuring your head in case of a fall, bump or an accident, you can count on the super strong and sturdy EPS liner and the in-mold poly carbonate shell to absorb the impact and protect you. It also features a reflective rear decal for added safety and is also well ventilated. This unit nonetheless is for adults only. 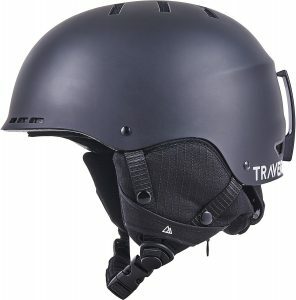 Protecting your head from injuries in case of an accident while riding, skiing, snowboarding or skating starts by purchasing the Traverse Vigilis helmet. It comes in a cool and stylish Matte Obsidian color and a minor visor for protecting your eyes from wind, dust, dirt, insects and other objects. The item is quite tough courtesy of the hard ABS exterior but still very comfortable thanks to the high-density EPS foam inner construction. Measuring 54-58cm (small) and 56-60cm (large), it should easily fit on most heads. It’s also light and portable thanks to its 2-lb weight. The nice looking and sleek finished helmet, unfortunately, is a bit large for kids. TeamObsidian did a great job on this Bike Helmet. It boasts amazing features such as shock absorption exterior that is built to prevent shocks and protect it from damage caused by severe accidents. In addition, it features 22 air vents that allow optimal airflow to prevent your head from excessive sweating. This bike helmet only weighs 0.6 lb therefore it is light enough to be carried everywhere. It comes in three Sizes, Small, medium and large hence it can be worn by adults and teenagers. When it comes to safety, this helmet is made with cushioned chin straps, detachable visor and washable pads for extra comfort. The manufacturer offers a lifetime warranty on this product; therefore you can buy it risk free. 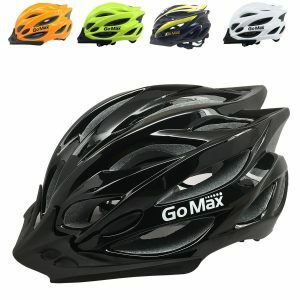 This adult safety helmet comes in a shiny black color and is fit for mountain bike riding and road cycling. It comes in an innovative aerodynamic design that reduces air resistance and will make you go much faster. This is enhanced by the ergonomic design and lightweight of 250 g (0.88 oz). The outer shell is constructed from high-quality EPS and will withstand impacts and offers long life. High-density foam is found on the interior and is based on superior technology for better comfort and safety. The helmet comes with 22 air vents and in small (54-58 cm/ 21.28-22.25 inch), Medium (56-60 cm/ 22-23.60 inches), and XL (59 -63 cm/23.22-24.80 inches). For added safety, it features a detachable visor and a LED light. 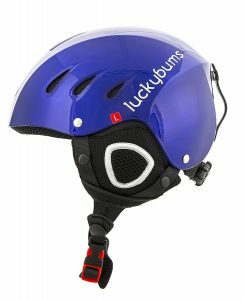 This blue helmet by Lucky Bums offers all-round protection to your head and is suitable for many sports including cycling, riding, skating, and snowboarding. The sturdy unit consists of a hard outer shell made of ABS and a soft and comfortable inner lining made of EPS. The interior padding comes with antibacterial treatment and is also hypoallergenic. It’s available in 4 different sizes to fit different head sizes. The smallest is 55-56cm, medium 57-58cm, large 56-60cm and 61cm is X-Large. Users love its comfort, simple design, sturdiness and tough shell. Some, however, say the logo is a bit large. Schwinn is known to be the biggest producer of high quality bicycles and all bicycle accessories. 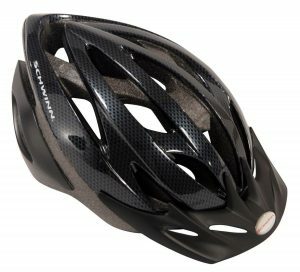 Their bicycle helmet is designed with 22 flow vents that help to keep you cool as you cycle. It features Dial fit retention that allows simple adjustments. In addition, the snap-on visor offers maximum protection from all elements. The Dual Stitch Straps are very soft and non irritant to the skin. It also features rear exhaust ports that aids in air flow. The moisture-wicking pads ensure that your head is dry even when cycling under hot sun. 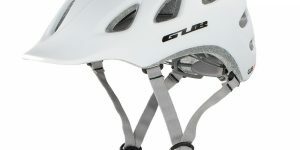 Lastly, the adjustable webbing enables comfortable fit on various head shapes and sizes. We now believe that finding a helmet that suits your needs or those of your spouse or kid(s) is much easier and less time-consuming. While reviewing the various helmets, we looked at the most critical features. These include quality, size, weight, comfort, fit, ergonomics, and adjustability. You now have no excuse of not finding the right product or buying an item blindly without proper information. 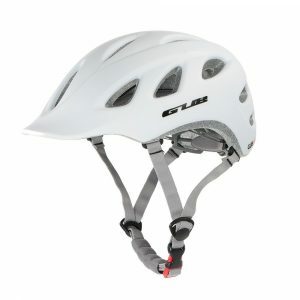 Use this review on the top 10 best bike helmets in 2019 as your buying guide for maximum satisfaction.